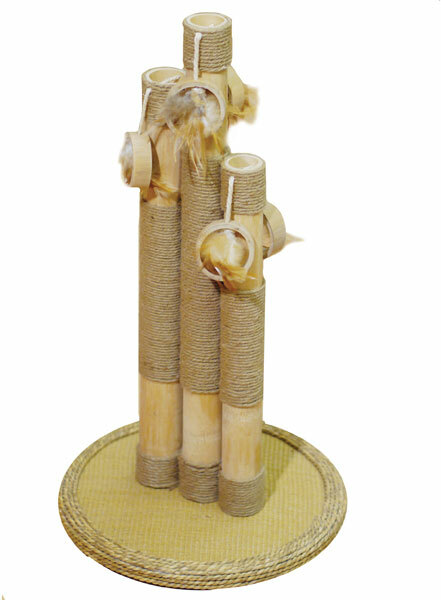 The Catwalk Collection Natural Basil Cat Scratcher consists of three jute and bamboo posts with 6 hanging toys to ensure there is plenty for your cat to enjoy. Infused with catnip to make it even more exciting. Strong and sturdy construction which is easy to assemble. There are currently no questions for Catwalk Collection Natural Basil Cat Scratcher - be the first to ask one!